As your child becomes an adult, there are several milestones decisions for you to make. These milestones help your children become more independent and responsible. One of the things is filing your child’s tax return in their name. 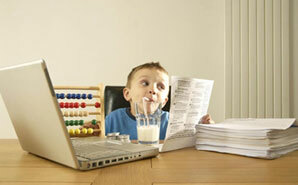 Therefore, to make things easier we are going to discuss how to file your child’s first income tax return. • Filing allows your child to establish good financial habits. If your child does not meet any of the above requirements, you can still claim them as a dependent on your tax return. However, they must have more than half of their support provided by you and unless they are in college and they should reside with you for at least six months of the year. If your child does have to start filing taxes just walk them through the steps and they should get the hang of doing their taxes on their own in no time.